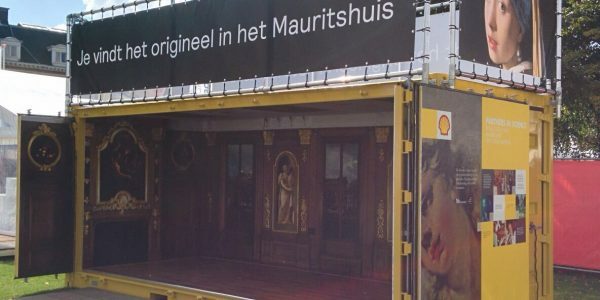 Crane Container BV was asked to build the Golden room from the museum Mauritshuis in to a shipping container to showcase the Museum and to inspire people on events to go to the Museum. 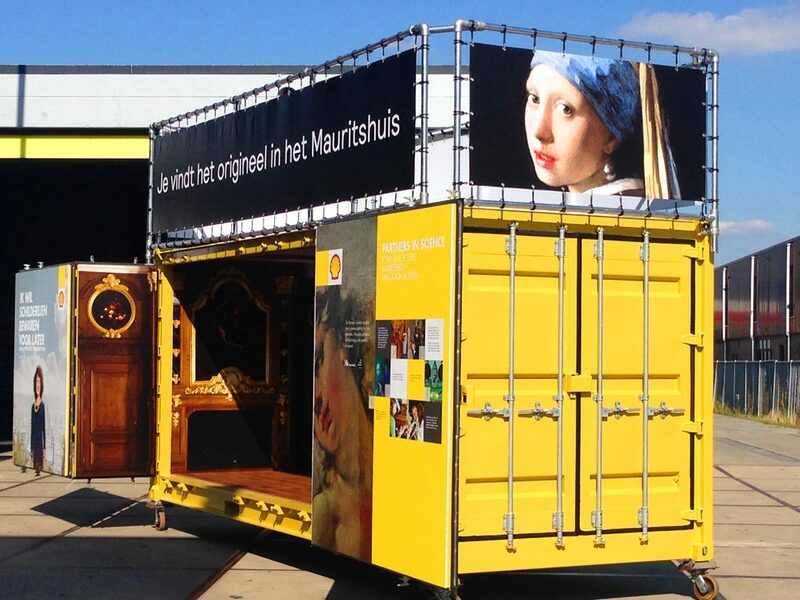 The Mauritshuis is home to the Best of Dutch painting from the Golden Age. 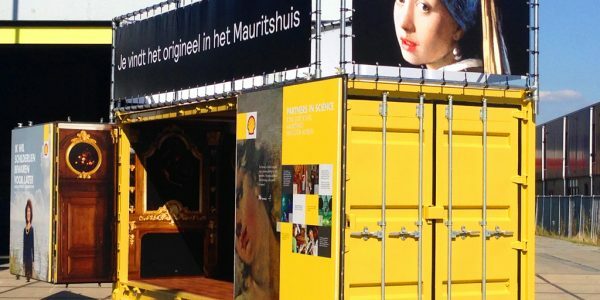 The compact, yet world-renowned collection, is situated in the heart of The Hague, right next to the government centre. 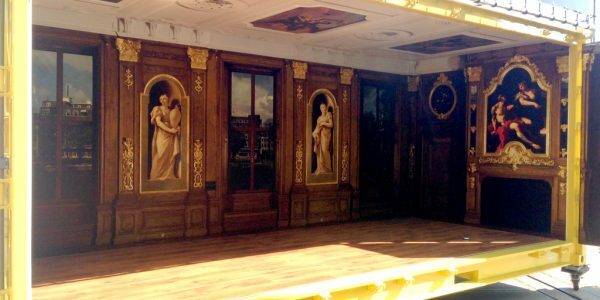 Masterpieces such as Vermeer’s Girl with a Pearl Earring, The Anatomy Lesson of Dr. Nicolaes Tulp by Rembrandt, The Goldfinch by Fabritius and The Bull by Potter are on permanent display in the intimate rooms of this seventeenth-century monument.